MARK VINCENT IS one in a million! 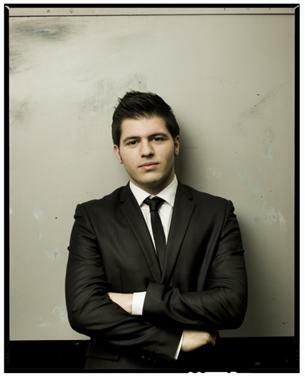 At just 19 years of age Mark is unmistakably Australia’s young tenor! Even with four albums to his name since winning Australia’s Got Talent 2009, Mark’s one of the most humble and grounded artists around! Howev er, Mark doesn’t see what he’s doing as a “job”, he just loves being a singer and makes albums for “fun”. He wants to convey every emotion for his millions of fans here in Australia and hopefully overseas one day, so they can have someone singing for their emotions. Songs From The Heart (available online and instore) is Mark’s latest album and his timeless voice is spell bounding and sounds beyond his years! He sings every song with passion and rare honesty. If you listen to the track Young At Heart from Songs From The Heart, you would assume the singer was much older than 19! Along with Mark’s uncanny powerful delivery of classics including Bridge Over Troubled Water and Amazing Grace sends shivers down your spine! Your brain automatically sees an older artist singing, but then you bring yourself back to reality remembering it’s a TEENAGER singing! Since interviewing many artists, I would have to say Mark’s maturity and compassionate nature shone through when he answered my questions! So thanks Mark! Thanks Mark for joining the Gigs ‘n Interviews family! It’s a great honour to interview such a talented young man with an incredible voice! You’re just 19? You seem to be much older especially listening to Young At Heart. Do people often forget how young you really are? All the time! Especially when I perform and they hear the maturity in my voice. They think. I’m much older than I am. My singing voice has always been more mature that those of my peers, it’s what made me stand out as a singer and led to my success, so I have always been very grateful for it. I think one of the reasons I stand out as a singer more is because of the genre of music I sing, which is very unusual for someone my age. Since winning Australia’s Got Talent 2009 you have released four albums equalling one album every year! You’ve been a busy man! What do you do just to chill out? I like to socialise with my friends and go out for dinner. We have dinner parties at each other’s houses every month or so and cook some really great meals. I work very hard and am always busy travelling but I’m still a regular 19 year old and when I can, I make the most of my time with friends and family. How have you managed the challenges of your maturing voice? Practice and cherishing my voice. I have had singing lessons since the age of ten with the same teacher, and she has been working with me on developing my voice for my own particular style. The voice continues to mature until the age of 35 so I still have a lot of challenges to master! Can you believe how Australia has embraced you? I am really honoured that Australia has supported me to do what I love. I wouldn’t be here without my fans so their support is everything to me. It is very unique to have a young opera singer do so well in any country, but especially Australia and I am forever grateful for the opportunities I have had and the success Australia has given me. What I admire the most about you is that you have stayed true to yourself and your Italian background! Have you fought to stay true to yourself? Always, this is very important to me. My family have always kept me in line and at home I’m just a normal grandson and my grandma reminds me of that every day! I have never admitted this in an interview before, but I love to dance to Usher and Justin Timberlake when I’m on my own! I was blessed with my voice, not my dance moves. I might not have the moves, but I have the heart. What’s in your future? Another album, tour or both? There will be many albums and tours, both in Australia and across the world. I would love to work with some of the greatest opera singers and performers from other genres too. Thanks to Ralph Carr Management for making this interview possible! Mark, you’re the BEST..stay the way you are..don’t let fame change who you are..cause that’s one thing all your fans love about you..am sure..besides you being so young with such a tremendous God gifted voice!! Dear Jacqui! 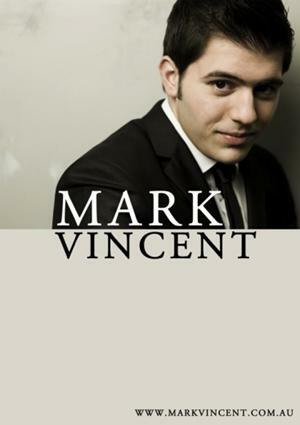 Having followed Mark Vincent’s career from the start, I am a great lover of his musical abilities, and the many other attributes bestowed upon him. Mark is, without a doubt, a young man who WILL be world renown one day. His honesty and integrity, along with his beautiful voice, captures not only the younger generation, but also those of us who have been around for many years, and have heard them all. Mark’s choice of songs, along with his ability to deliver them so beautifully, lightens the hearts of many fans, and makes us oldsters feel ‘Young at Heart’again. I wish him every success and happiness. Thanks for interviewing this special young man. Thanks everyone for your lovely comments about my interview with Mark! He’s very genuine and down-to-earth! I wish him every success for his future. We have loved you Mark, from the first audition. You have an incredible voice and talent to burn. And to top it off you are the sweetest most genuine young man I have ever met. My whole family continue to wish you all the success in the world. Thanks for interviewing such an outstanding young man and Tenor. he has a lot to live up to in the future and I do not doubt he will come thru with flying colors. You can tell he has excellent people to be around growing up and that has molded him into one fine young man, I look forward to hearing him and seeing him around for many many years to come. I feel such a need to thank Mark Vincent for what he has given me. I’m old now and live alone with my three dogs and can’t seem to get out of depression that setting in lately. Pills don’t help. What helps me is Gods beauty that is all around us. I will buy a bunch of flowers at the supermarket and put them in water and stare at them, smell them and feel the petals knowing that “this rose was designed by God for us to enjoy. It is beautiful beyond description. That is how I feel about Mark’s voice and persona. He was blessed with a beautiful face, soul, voice, mind and heart. His 4 CD’s have brought me out of a lonely place and filled me with feelings that I can’t put into words. I know his gifts are Gods work so as to bring beauty to the world. Mark your music is great I havent been able to get your albumns here in Maine. I am trying You take care and stay safe I am retired Air Force living up here in the country again love your music and your God given talent.